Price listed is for each stone. They are approximately 13mm clear glass cabochons. 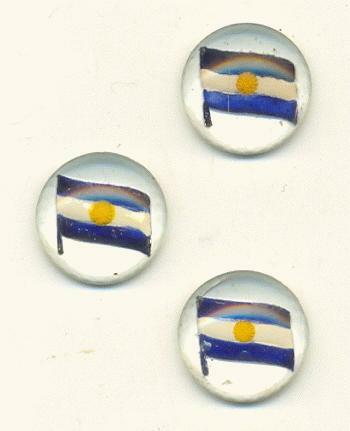 They are reverse carved with a flag painted in white and blue with a yellow spot in the middle. The flag appears to be that of Argentina. The detail of the painting varies from stone to stone. These are in good condition, but dirty. They will need to be wiped off.